The e-book you are about to read is packed full of helpful tips and techniques that are designed to give you the boost you need! There are 101 tips listed in the following pages, but don’t be surprised if you find yourself coming up with other creative ideas just by skimming through them. There are many more ways to motivate yourself than list in a book, but those listed should be enough to get your creative juices flowing and get some great motivation building. You can download it from mediafire link for free in pdf format. To download this e-book from mediafire , CLICK HERE. 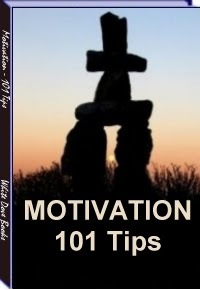 0 Comment "Free download eBook of 101 Motivation Tips"